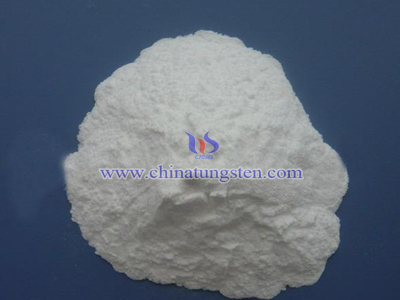 Cobalt powder is prepared by steps of acid leaching, precipitation, calcination, reduction and so on. The WC powder is prepared by smelting, calcining, reducing, carbonizing. WC-Co composite powder was prepared by ball milling, spray drying and sintering with alcohol as wet milling medium. The method has the disadvantages of long process flow, uneven distribution of components, uneven grain growth, large fluctuation of product performance, difficult control of quality, low production efficiency and high manufacturing cost. Therefore, many experts and scholars have developed a new method of preparation of WC-Co composite powder, including mechanical alloying, plasma, chemical precipitation, oxidation - reduction, sol - gel, in situ carburizing, in situ reaction method, direct carbonation method. Raw material: Violet tungsten oxide, cobalt acetate, organic carbon(carbon content >=40%, soluble in water) and ultra-pure carbon black spray drying tower, high temperature molybdenum continuous carbonization furnace, tilting rolling ball mill. 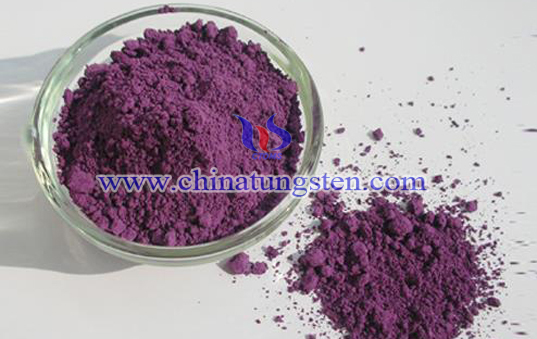 (1) WC-6% Co as the basic composition, calculating raw materials ingredients amount, violet tungsten oxide, cobalt acetate, organic carbon and ultra-pure carbon black ingredients. Weighing with adding the proper amount of pure water, tilting rolling ball mill, wet mixing 12h to form a complex salt slurry, then followed by thorough stirring. (2) Spray dry in the spray dry tower, inlet temperature is 230 ℃, outlet air temperature is 125 ℃, feed rate is 60 ml / min and centrifugal speed is 12 000 r / min. (3) WC-Co composite powder was prepared by loading the powder (200g) into a high-temperature molybdenum wire furnace, introducing hydrogen, calcining temperature is 950 ℃ and calcining time is 30 min. 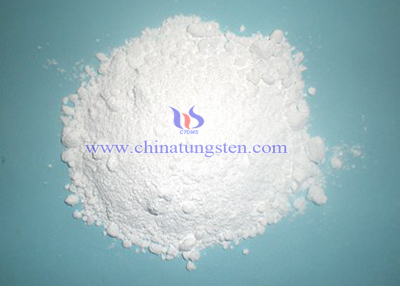 Ammonium paratungstate (APT) is an important intermediate compounds of tungsten hydrometallurgical process, appearance is white crystalline powder, insoluble in water, soluble in alcohol and ether. 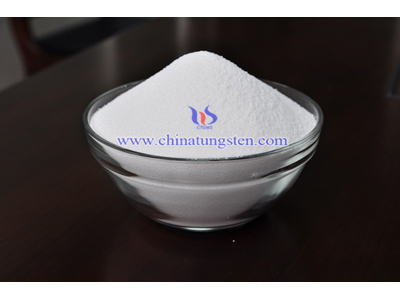 Ammonium metatungstate(AMT) is an important intermediate compounds of tungsten hydrometallurgical process, appearance is white crystalline powder, solubility in water is the largest in the tungsten compounds which over 300g WO3/100ml H2O (in 25℃). Sodium tungstate, a tungstate of sodium, is useful as a source of tungsten. It is prepared from tungsten ores used to manufacture tungsten by reducing it. 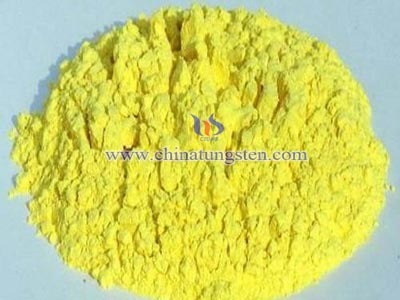 Tungstic acid refers to hydrated forms of tungsten trioxide, WO3. The simplest form, the monohydrate, is WO3H2O, the dihydrate WO3·2H2O is also known. The solid state structure of WO3· H2O consists of layers of octahedrally coordinated WO5(H2O) units where 4 vertices are shared. 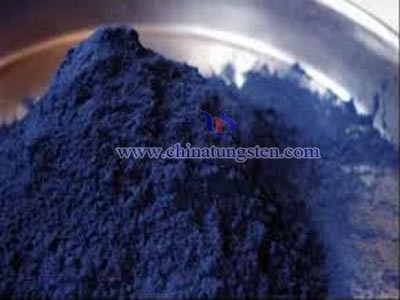 Blue tungsten oxide refers to a class of dark blue compound containing tungsten (Ⅵ) and tungsten (V) mixed valence state. 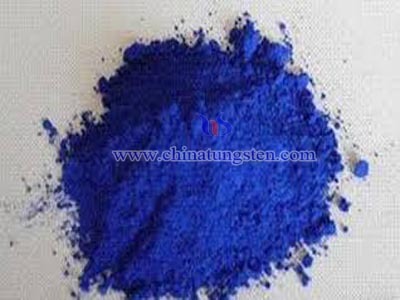 Blue tungsten oxide is the product of reductant and tungsten compounds. Composition of blue tungsten oxide is complex, among which there are also intermediate oxides like WO2 and W4. 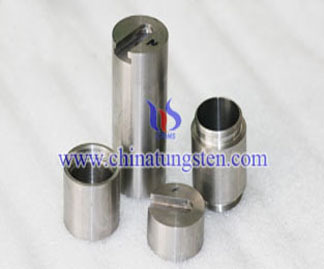 Cesium tungsten bronze is inorganic nano material with good property in absorbing near-infrared with uniform grain size and dispersibility, it has strong absorbing function in near-infrared area with wave length 800~1200nm, also has high transmittance in visible light area with wave length 380~780nm.